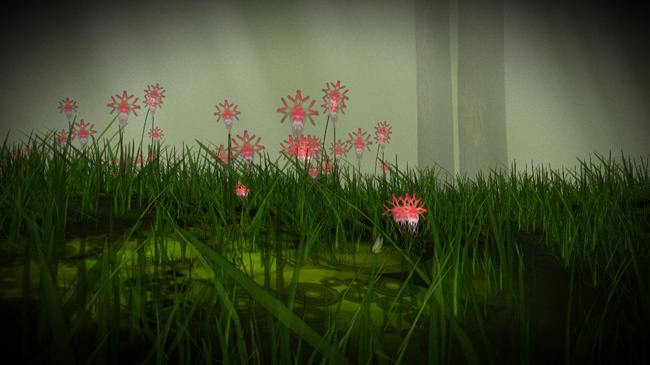 City In A Bottle is a procedural, endless game world of plants and flowers. The project was developed with support from the Flemish Audiovisual Fund. 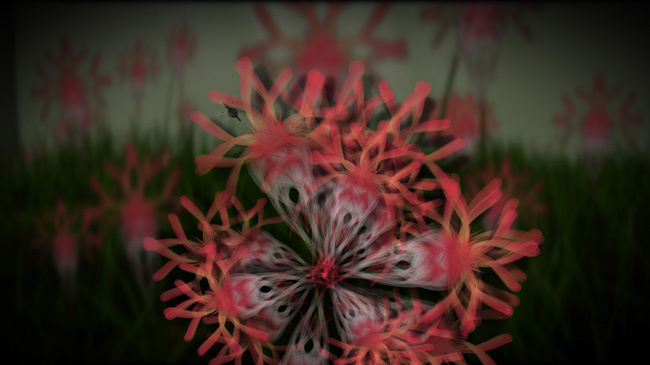 It resulted in NodeBox for OpenGL, a hardware-accelerated NodeBox spin-off based on Pyglet, and a game engine for rendering procedural flora. Prototype screenshots. Note the insect in the close-up of the flower. 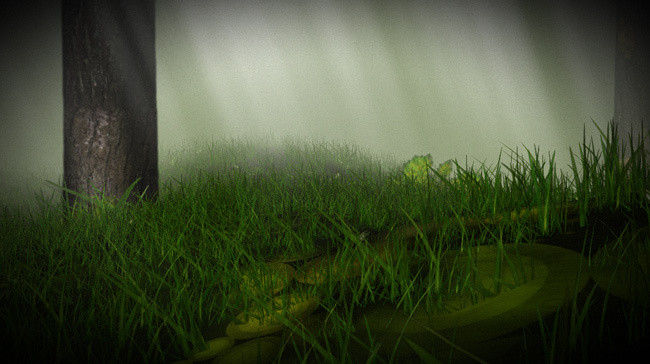 The aim of the project was to model an emergent virtual ecosystem, where organisms (plants and insects) start off with basic behavioristic rules and goals. For example: if an opponent is edible, attack it. If an opponent is stronger, flee. When cornered, fight back. Follow a food trail marked by a relative. Expand and defend a productive environment. Species with a good strategy will then survive and evolve over time, will adapt, will look different. The gaming enviroment changes procedurally, there is no pre-programmed story or pathway. 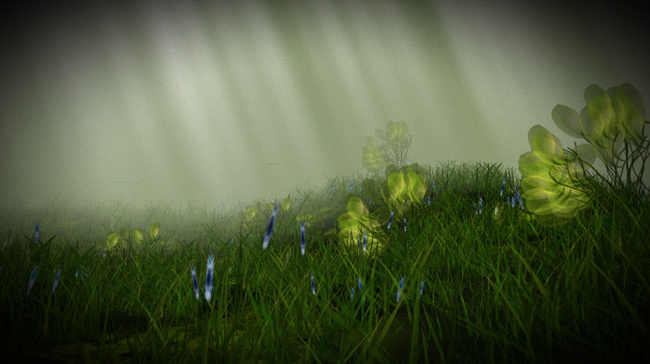 Prototype screenshots of the creature engine.